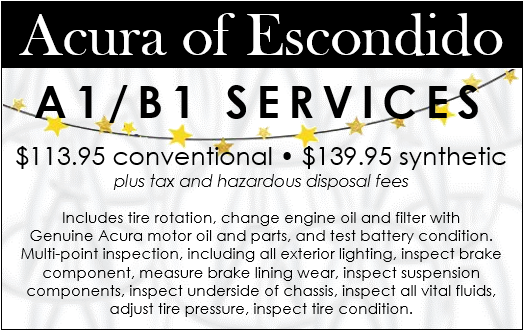 Acura of Escondido has a lot to offer drivers, which is why we’re a trusted source for Acura service at a special price. No matter if you’re looking for a specific Acura model or simply want to check out some different options that match your style, we’re the place to find what you’re looking for, and here’s why. 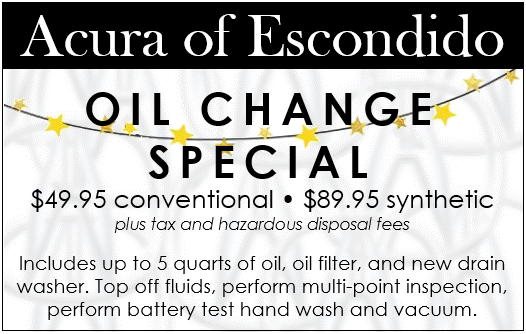 Whether you need an oil change or a new battery, we’ve got the best service specials for you! 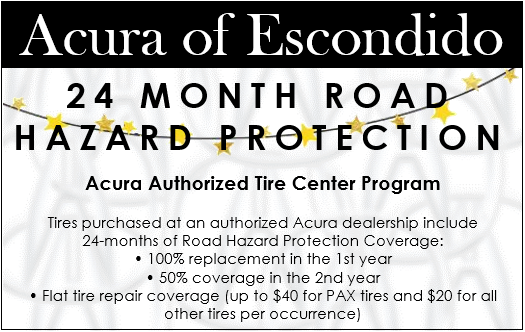 Valid only at Acura of Escondido. Coupon not valid with any other offer. 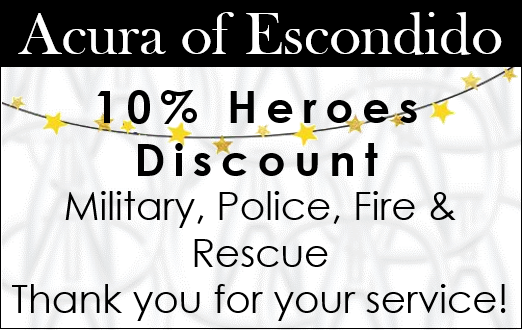 Must present coupon at time of service write up. Limit one coupon per person, per service. Not valid on previous service, purchases or repairs. Taxes, and hazardous disposal fees extra. Other restrictions may apply. See dealer for details. Valid ID required to receive discount. 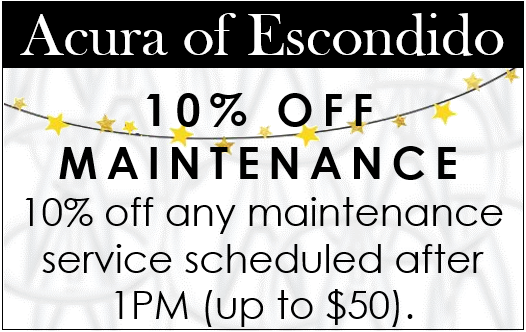 Valid only at Acura of Escondido. Coupon not valid with any other offer. 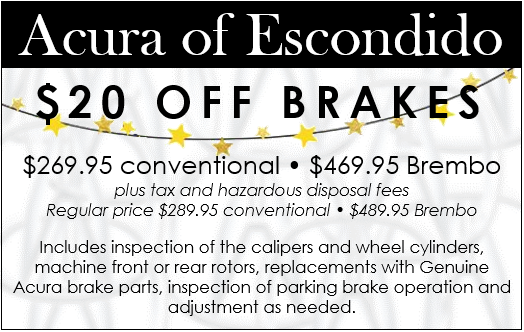 Must present coupon at time of service or parts purchase. Limit one coupon per person. Not valid on previous service, purchases or repairs. Other restrictions may apply. See dealer for details. Buying a vehicle today means making a major financial investment, but having a used car shouldn’t put you in a financial crisis. 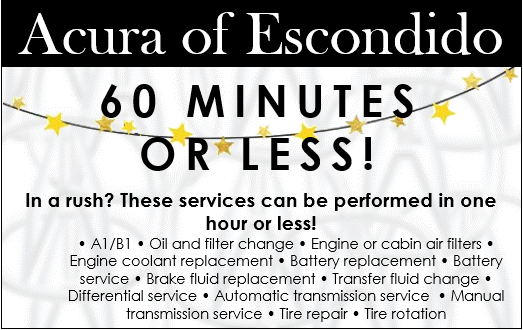 Instead, you need to choose the dealerships that offer the best service at the best prices, and that’s what Acura of Escondido does. 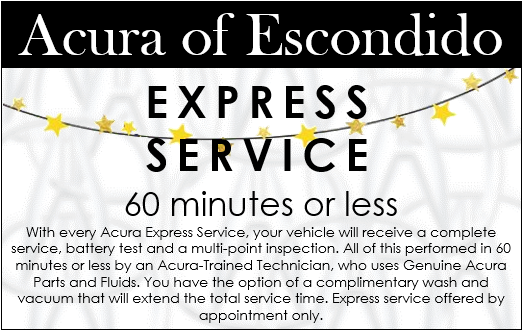 We not only provide you with high-quality Acura models, but we also deliver impressive service specials. 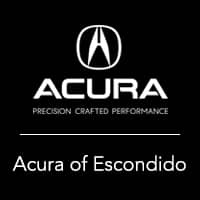 Some dealerships can make you feel dirty when buying a car, but our team at Acura of Escondido will always treat you with respect. Every member of our team will put you and your needs first. We will not pressure you into buying a car; we’ll just be available to answer any questions you may have. When you’re looking for a trusted car-buying experience, let our team help.